The 1964 Alaska earthquake, the strongest earthquake ever recorded in North America, struck Alaska’s Prince William Sound, about 74 miles southeast of Anchorage. Most of Alaska’s mainland felt the magnitude 9.2 earthquake, which wobbled Seattle’s Space Needle some 1,200 miles away. The earthquake was so powerful it registered in all U.S. states except Connecticut, Rhode Island and Delaware. The quake also led to significant scientific breakthroughs in subduction earthquakes and how to minimize their destruction. At 5:36 p.m. on March 27, 1964—Good Friday—the earth trembled just as many Alaskans were sitting down to dinner. Eyewitnesses described hearing a crunching, grinding noise as the earth shook. They recalled seeing asphalt roads rise and fall like waves and the ground opening and closing before them, water shooting up through the ensuing cracks. As bad as the tremors were, the worst was yet to come. 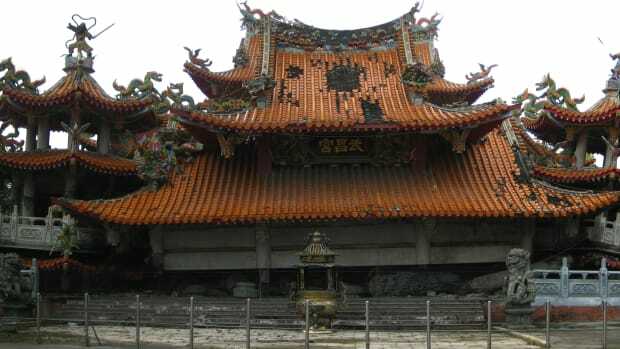 The earthquake triggered a swell of devastating tsunamis, landslides and submarine slumps which caused massive property damage and loss of life. 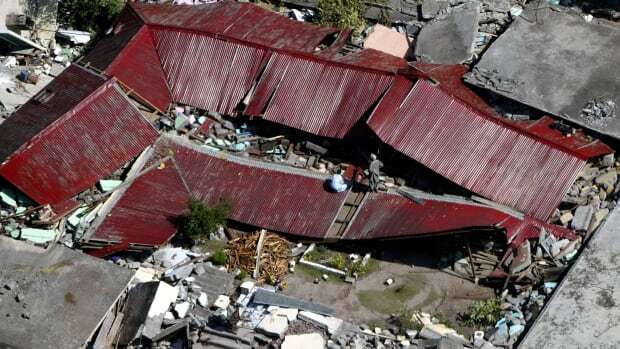 The death toll reached 131 people: 15 died during the initial tremors and the rest in the subsequent tsunamis and landslides. Four minutes may not seem like a long time, but when it comes to earthquakes, it’s an eternity, and tremors during the Great Alaska Earthquake of 1964 lasted at least four minutes. Geological surveys taken immediately afterward showed parts of the Alaskan coast sank up to eight feet, other parts rose up to 38 feet and much of the coast moved 50 feet towards the ocean. Coastal forests plunged below sea level and were destroyed by salt water. As the tremors ended, local tsunamis sprung up almost immediately, leaving residents little to no time to flee for higher ground. A massive tidal wave crushed the small, coastal village of Chenega four minutes after the tremors subsided—the town lost a third of its population. 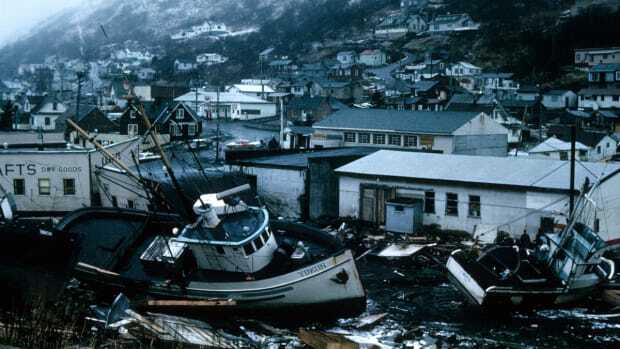 Local tsunamis also caused destruction in Kodiak, Whittier and Seward. 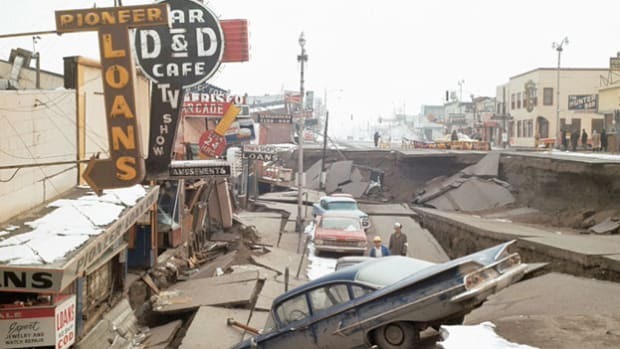 Downtown Anchorage had the most property damage mainly due to immense landslides, one of which dropped the business district nine feet. In the Turnagain Heights area of Anchorage, soil liquefaction (when the ground behaves like a liquid) triggered a landslide which moved parts of a suburban bluff 2,000 feet into the bay, taking up to 75 homes with it. The control tower at Anchorage International Airport collapsed, killing an air traffic controller. Part of the of the Million Dollar Bridge at Copper River also crumpled. 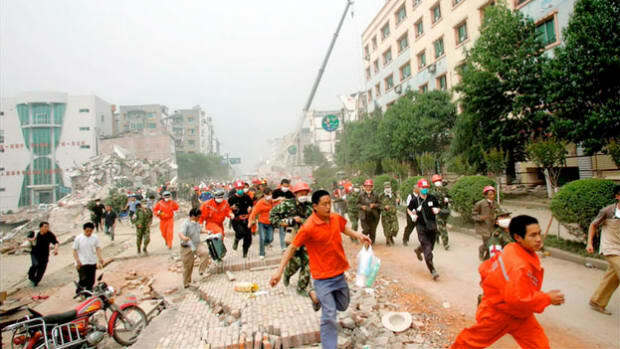 Thousands of strong aftershocks continued for weeks after the earthquake, some measuring greater than magnitude 6.2. Reports of residual water sloshing (seiches) came in from the U.S. Gulf Coast and as far away as Australia. The town of Valdez was originally built on sand and gravel. When the earthquake struck, seismic waves caused soil liquefaction and a portion of the delta slumped into Port Valdez, taking much of the port’s resources, living and otherwise, with it. 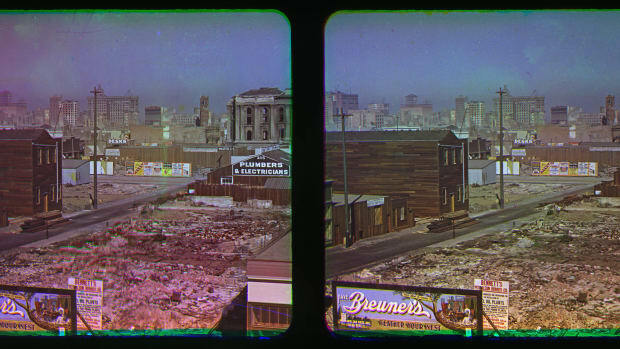 The delta slump triggered a local tsunami which destroyed almost anything left standing and ruptured the Union Oil Company’s oil tanks, igniting a massive fire. Valdez was basically leveled. The largest tsunami wave of the 1964 Alaska Earthquake measured over 200 feet in height and was recorded at Shoup Bay near the Valdez inlet. In addition to local tsunamis caused by underground landslides, the earthquake triggered an enormous tectonic tidal wave. After wreaking havoc on southeastern Alaskan coastal towns that had already endured local tsunamis, the tectonic tsunami made its way to British Columbia where it ravaged small villages along the coastline near Vancouver. 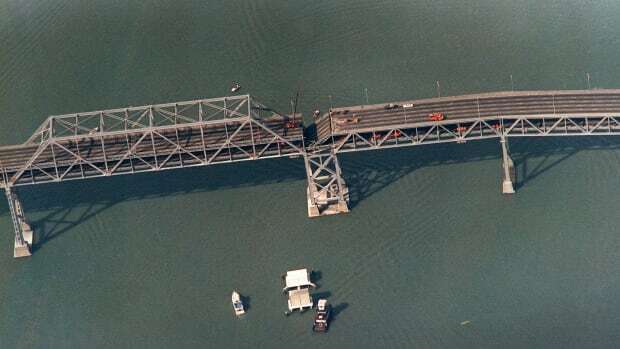 The tsunami, which caused massive property damage in Washington, Oregon and California, also claimed four lives in Oregon and 12 in California. The tidal wave had diminished by the time it hit Hawaii and Japan, causing little damage. Still, the fact that it reached those areas at all is testament to the enormity of the quake. Prior to the 1964 Alaskan earthquake, scientists had limited knowledge of what happens far beneath the earth. 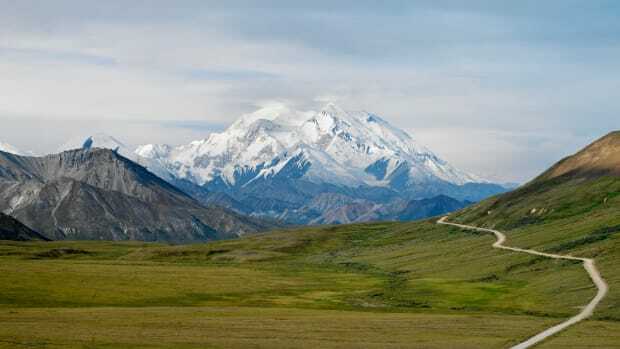 Afterwards, geologists realized subduction zones—areas where two tectonic plates (huge slabs of rock made of the earth’s crust and upper mantle) meet and one bends under the other—played a major role in creating the immense Alaskan quake. 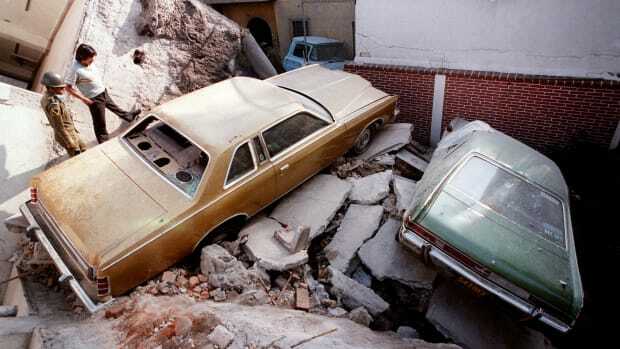 During the earthquake, it’s estimated the fault slipped between 30 to 60 feet, an immense shift. Scientists learned a lot from data gathered after the 1964 Alaskan earthquake and put the knowledge to good use. A broad earthquake-monitoring system was created to gather data and help seismologists predict future earthquakes and their potential damage. 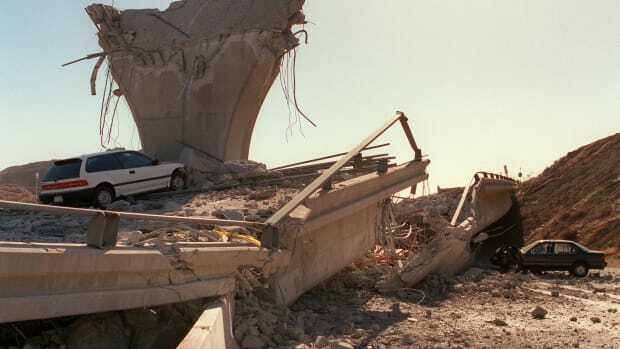 The data helped engineers develop earthquake-resistant structures to limit future casualties and property damage. Scientists also confirmed that earthquake-related tsunamis aren’t always localized and can happen thousands of miles from the epicenter. This led to the establishment of the Pacific Tsunami Warning Center (originally called the West Coast/Alaska Tsunami Warning Center) to alert people when a widespread tsunami is possible. The warning system doesn’t monitor local tsunamis, however. The 1964 Alaska Earthquake taught coastal citizens to run for higher ground at the first sign of strong tremors. The demolished towns of Valdez and Chenega were rebuilt on higher ground, but not everyone was prudent about rebuilding on earthquake-prone land. Much to the dismay of some earthquake experts, luxury homes were rebuilt on areas most likely to experience earthquake damage, including on top of the ruins in Turnagain Heights. 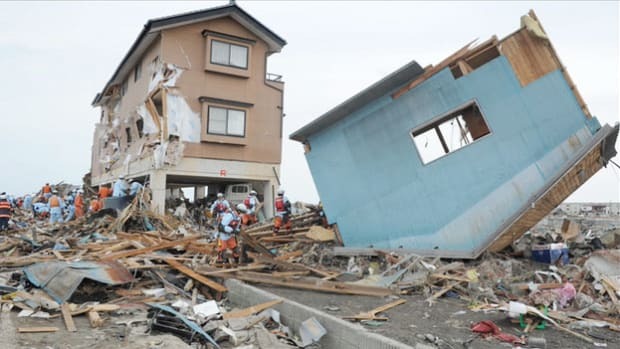 Only time will tell if new building codes are strong enough to withstand the next massive Alaskan earthquake. 1964 Alaskan Tsunami. USC Tsunami Research Group. Seismic Seiches from the 1964 Alaska Earthquake. USGS. The 1964 Great Alaska Earthquake. Department of Homeland Security & Emergency Management. The 1964 Great Alaskan Earthquake and Tsunamis—A Modern Perspective and Enduring Legacies. USGS. 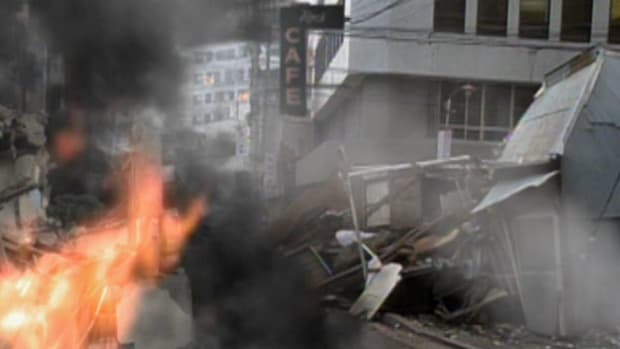 The 1964 Tsunami Strikes Valdez. USC Tsunami Research Group. The Great M9.2 Alaska Earthquake and Tsunami of March 27, 1964. USGS Earthquake Hazards Program. Turnagain Heights Landslide, Anchorage Alaska. NOAA Natural Hazards Image Database.